The Tortuga sails from Bahia Marina 2107 Herring Way Ocean City MD 21842. It is between 21 St. and 22 St. on the Bayside. Parking : There is plenty of FREE No Hassle Dockside Parking at our Marina. It can be a problem. Don't pay to park, risk a ticket or even get towed ! We've got you covered , No worries here ! 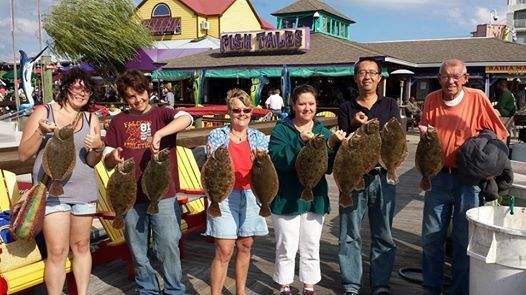 We fish the calm sheltered waters of Ocean City and Assateague Island. In addition to the fishing , you may see some dolphins, many types of birds and possibly the famous Assateague ponies ; so be on the lookout and have your camera ready. Arrival : We suggest getting to the boat about a half hour prior to departure time. A line will form on the dock and the first to arrive will be the first to board. They usually begin boarding about 15 mintues prior to departure. We have cold drinks and snacks for sale onboard. We do not have any adult beverages, however you may bring a small cooler with some beers if you like. No hard liquor allowed and keep in mind this is a family oriented boat. The Capt will have some easy listening radio station on while you fish ; it will be low as background music. Big loud radios are not permitted so bring your ear phones if you want to listen to your music. Bait, hooks, sinkers,and fishing license is all included. You may bring a rod and reel or you can rent one for $5 if you need to. Tickets available online or by phone or walk up. Don't forget to go into the tackle shop to get your boarding pass. Boat & Crew : The Tortuga is a 50' diesel powered fiberglass vessel which is U.S.C.G. inspected yearly. There is a restroom on board. The entire boat is kept clean . Your main Capt is Capt. Drew Z. The owner is Capt. Mike A and we have Capt Mike W. These 3 Captains combined have over 100 YEARS OF SUCCESSFUL EXPERIENCE ! 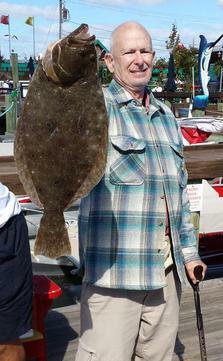 ( One of our competitors claims 40 years experience, but the Capt. running the boat is in his first year ! ) Our 1st mate Serge has been with us for 15 years. ( Don't forget to tip the mates )...He knows his stuff and this is the reason he is still with us and not a "former crew member". All our crew members are enrolled in the mandatory USCG random drug testing program. Great crew, great boat & great service. We'll see you onboard ! 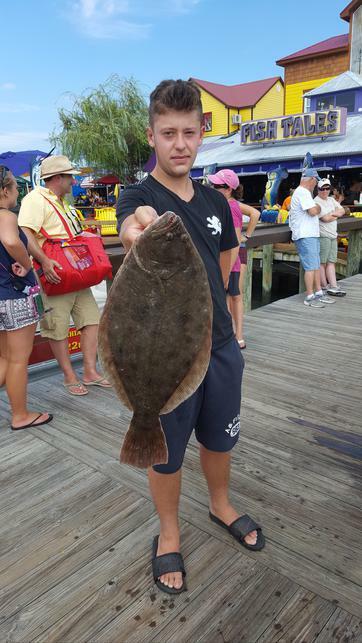 OUR FREE FLOUNDER DERBY IS RUN LEGITIMATELY ! ONLY PAYING FARES ARE ELIGIBLE TO WIN. WE DO NOT ALLOW FRIENDS OR FAMILY TO BE ENTERED, AND WE POST THE WINNERS NAMES !